Diversified property development, investment and construction firm. Construction order book stood at S$542.6m as at end-Sep 2017. Redevelopment of The Verge could raise Lum Chang (LCH)’s recurrent income. 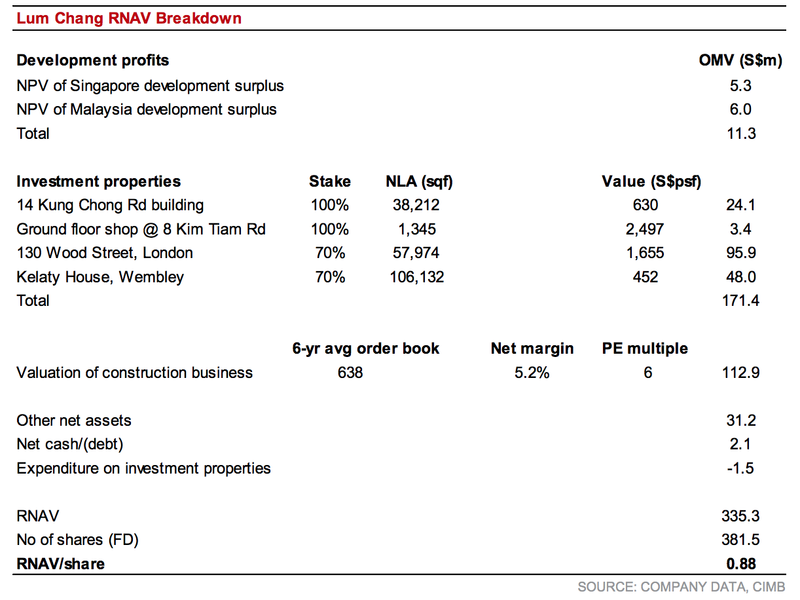 Trading at 0.64x P/BV as at end-Sep 2017 and at 57% discount to RNAV. 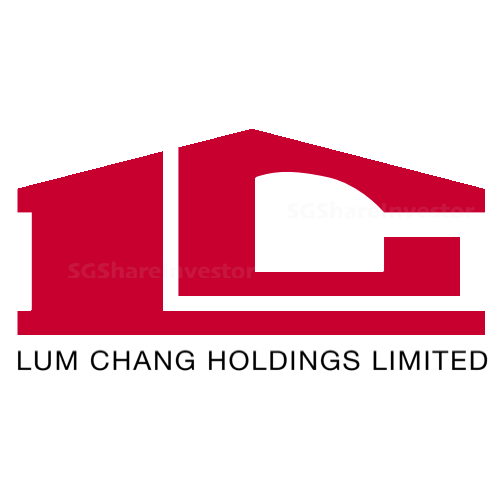 Lum Chang (LCH) is an established main contractor firm with property development and investment activities in Singapore, Malaysia and, more recently, the UK. As at end-Sep 2017, LCH’s outstanding value of construction projects in progress stood at S$542.6m, comprising a mix of residential, commercial and civil infrastructure works in Singapore. The planned 2018F launch comprises a mix of semi-detached and detached houses at One Tree Hill Gardens, which was acquired for S$65m through an en-bloc sale in May 2017. Market resale prices of nearby landed homes in Lengkok Angsa (S$2,600-3,000 psf in Jul-Oct 2017) could give indication of future selling prices. Lum Chang (LCH) intends to redevelop the 50%-owned property, which was acquired for S$273m in Nov 16, into a mixed development comprising 320 serviced residences to be managed by Ascott Residence Trust (ART SP, Hold, TP: S$1.16), and retail spaces. Management expects redevelopment works in 2H19F. Ongoing development in Malaysia includes the Twin Palms Sungai Long (sold 368 of 388 landed homes launched up to 30 Jun 2017, generating profit for LCH on a progressive sales basis). Another project in Petaling Jaya is now in the pre-development phase and would yield apartments for sale, serviced residences and a two-storey commercial podium. Plans are underway to redevelop its 70%-owned Kelaty House in London, which was acquired for £25.5m in Aug 15, into a 599-bed student accommodation and 300-key serviced residences. Management announced that the redevelopment could start in 2018F and be completed in 2021F. The group also plans to venture into Germany via a 5.1:94.9 joint venture to acquire an office building in Frankfurt for €234.3m. These investments could further add to its recurrent income stream down the road. Lum Chang (LCH)’s net gearing stood at 0.1x as at end-Sep 2017. It paid a DPS of 1.5 Scts in FY17. A similar DPS quantum in FY18F would translate into a 4.1% dividend yield.